Kids should start Roth IRAs as soon as they have earned income. 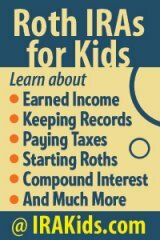 By starting Roths early, the power of comound interest will help kids acquire substantial tax-free assets by the time they retire. Earning and saving money to start Roths and making investments in them give purpose, relevance, continuity and vested interest to financial literacy education. Both the Roths and the related education give kids a huge head start to future financial success and wellbeing. 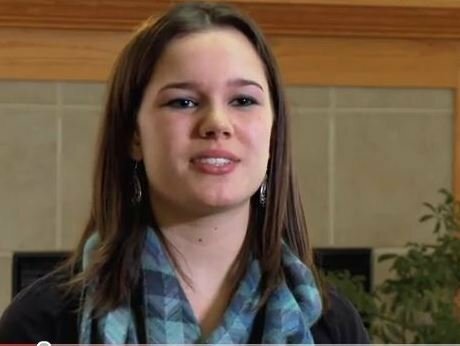 The IRAKids.com website was established in 2007 by Hannah (then age 13) and her grandfather as a non-commercial, educational resource to teach kids, their parents/guardians and grandparents about the benefits of Roth IRAs for kids. 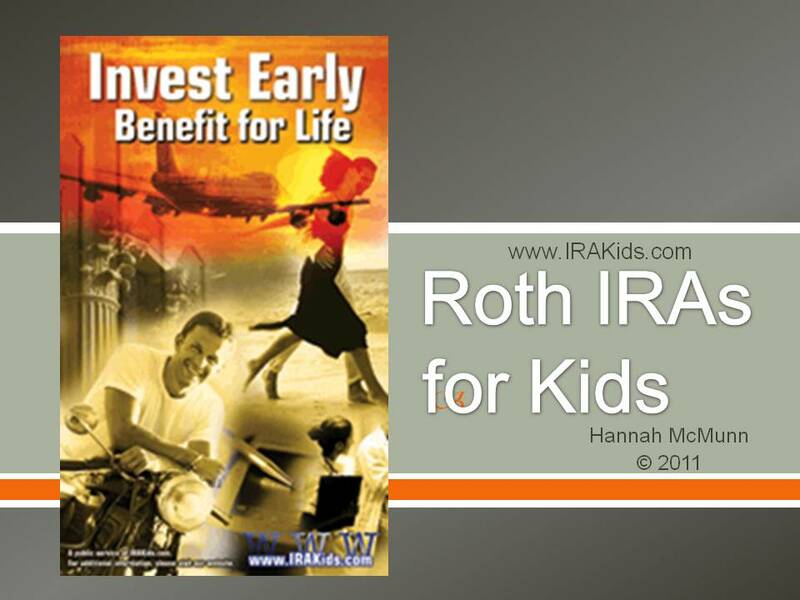 The website contains a video by Hannah describing Roth IRAs for kids and the power of compound interest (see below); a PowerPoint by Hannah for personal use and group presentations; many articles for educational use (and for free republication elsewhere); and posters for promotional use. The website addresses earned income, keeping records, paying taxes, starting Roths, compound interest and much more � and emphasizes how Roth IRAs will give kids a critical head start in overcoming the significant financial challenges their generation will face. On this website, read this homepage (below) and watch Hannah's video (also below). Then check out the links mentioned above or found in the menu (at left). Encourage your friends and parents/guardians to do the same, and then discus Roth IRAs with them. "When I was 12, I began earning money to start my Roth IRA. With Roth IRAs (Individual Retirement Accounts), kids like me can become millionaires and take control of our financial future. For my generation, Social Security benefits and employer contributions to our retirement plans are uncertain, while inflation will push us into higher tax brackets. We can confront these financial challenges with the only positive option that exists for us today � Roth IRAs. "If past market experience continues, investing early in Roth IRAs will mean compounding of our investments up to seven or eight times by the time we retire, and all that growth will be tax free. for Educational Use and Free Re-publication Elsewhere. Roth IRAs (Individual Retirement Accounts) are funded with after-tax dollars, but grow tax free and all withdrawals are tax free after 59 1/2 years of age (assuming the Roth has been owned for five years or more). When kids establish Roth IRAs early, the Roth's have extraordiary growth potential -- all tax free. 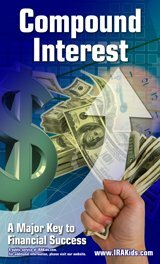 Kids also benefit tremendously from �compound interest�. During the last 80 years, the stock market has doubled every seven years for an average of 8% growth per year. If those averages continue into the future, a kid's investment will double EIGHT times between age 9 and 65 � seven times between age 16 and 65. A major contributor to that doubling is compound interest. For much more information, additional examples, and compound interest calculators, please see: Compound Interest Growth and Roth IRAs � A Key to Future Wealth. The benefits do not end there. In addition to learning to save and invest early, kids will learn the differences between needs and wants � to make informed decisions as to how they spend their money � a benefit that should last a lifetime. Kids have the opportunity to learn how stock markets work, and, more importantly, how to make good investment decisions. Also, they can take greater risks with their investments seeking greater long term returns � because they have more time to recover from any investment mistakes they make � and all that contributes to their education as an investor for life. This website encourages kids and their parents or guardians to form local IRAKids Clubs � which are a special form of investment club. PARENTS, ask your bank or credit union or investment advisor or accountant to �sponsor� an IRAKids Club � and help conduct educational and fun meetings. For more information, please see IRAKids Clubs on this website. Footnote: The earned income for the Roth can be either wages or self-employment income. If the income is less than the standard deduction (greater of $950 or $300 plus the kid's earned income, up to $5,700 in 2010), a kid would not pay any income tax.